Check files type on client side and server side also. Increase the script time limit and memory limit to upload large file. Don’t use web method (this method) to upload larger than 500mb, instead use ftp upload interface. Generally the default maximum upload file size less than 8mb. Any php web application or server configured with default values set in php.ini and .htacess. Generally almost web hosting providers likeDada configures the web application to optimum settings, which effects server bandwidth, server memory limit, server disk space, and peak security measures. For file uploading and PHP script execution there is default configuration in PHP.ini. However almost hosting providers give chance to developer to customize this default configuration by override php.ini or .htaccess . some settings can be configured by ini_set() method at run time of script. Check Infographic: Get Your Communication System Out of the Stone Age with Business VoIP, where you will find the best networking skills. 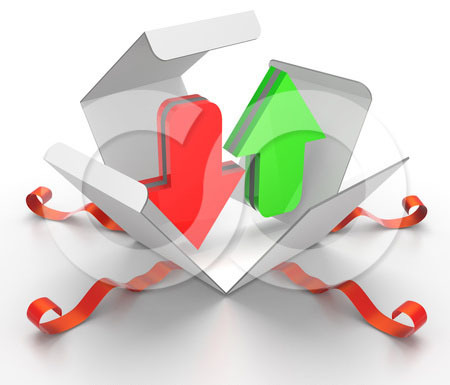 File upload size affected by mainly below PHP settings. This setting must be on. It allows running uploads through HTTP. Ensure this value is on the value can be On/Off or 1/0 or true/false. This value limits the size of uploaded single file. Give it value whatever your requirements. This value limits the size of all the uploaded content. For example upload_max_filesize is for single file, if we upload 3 files simultaneously each 15mb total 45mb so it exceeds post_max_size. Remember post_max_size must be larger about 40% of upload_max_filesize. Generally image uploading and manipulating with GD or Imagemagic consumes much time. So it may exceeds 30 seconds. You can modify whatever your requirements. When a script execution time exceeded by this limit the server stops the scripts or gives fatal error. Generally image uploading and manipulation with GD or Imagemagic consumes much server memory. When it exceeds this memory the server stops executing the script, then we see empty page or no response from server or we get a fatal error. Copy the above settings into your php.ini and put it in your web root directory. Copy the above settings into your .htaccess file and put it in your web root directory. Almost all web host providers give to override the .htacces ,so you can use above method. PHP significantly simplifies the task of uploading files through a Web form, by exposing a special $_FILES array which contains information on files sent through the POST method. There are two components to this listing, the file upload form and the business logic that processes the submitted form. The form must be submitted using POST, and must contain the enctype=”multipart/form-data” attribute, to ensure that the file is correctly uploaded. The hidden form variable MAX_FILE_SIZE specifies the maximum allowed upload size, in bytes; files larger than this will be rejected. Don’t use the file extension to determine the file type, as it’s easy to rename an executable file with a “safe” extension. Instead, use the ‘type’ key of the $_FILES array to check the Multipurpose Internet Mail Extensions (MIME) type of the file, and only allow those types you deem to be safe. “file_uploads” This variable, a Boolean, indicates whether or not file uploads should be permitted. Set this to true if your application supports file uploads. “max_execution_time” This variable determines the number of seconds a PHP script can run before it is forcibly terminated by the engine. If your application expects large file uploads, or if a slow network link is used for the file transfer, increase this value to avoid your script automatically terminating in the middle of a long upload. execution_time variable, increase this value if you anticipate large files or slow transfers. “post_max_size” This variable determines the maximum size of data PHP can accept in a single POST request, including file uploads. This should be at least equal to the value defined in “upload_max_filesize”; in most cases, it is larger. “upload_tmp_dir” This variable determines the temporary directory used for uploaded files. It defaults to the system’s temporary directory. “post_max_size” to be larger than “upload_max_filesize”. Hurrey we uploaded a file to server successfully. To start with create two new files and call them download.php and index.php. First we are checking if the the url contains the parameter file and whether basename($_GET[‘file’]) and $_GET[‘file’] have the same value – this is to prevent any attackers from downloading files we don´t want them to download. If the condition is true then we are assigning the value of the file to the variable called $filename, however if the condition is false then we are assigning NULL to the variable. This line of code creates a new variable called $err and assigns the default message which will be displayed to the user when the file is unavailable or any other problem occurs. What´s happening here is – first we check whether the $filename is NULL and if so we are displaying our message $err message. If it isn´t NULL then we are creating the variable called $path which stores the path to the file and assigns the populated name of the file to the end of it. Next we are checking whether the file exists and is readable, if so then we are sending the appropriate http headers with file size and opening the file in binary read-only mode (rb). Then, if the file has been opened successfully, we are using the fpassthru() function to write the result to the output buffer. If any of the condition was unsuccessful we are displaying our $err message. 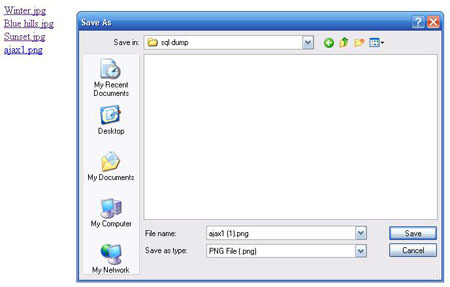 Using PHP to upload files into MySQL database sometimes needed by some web application. 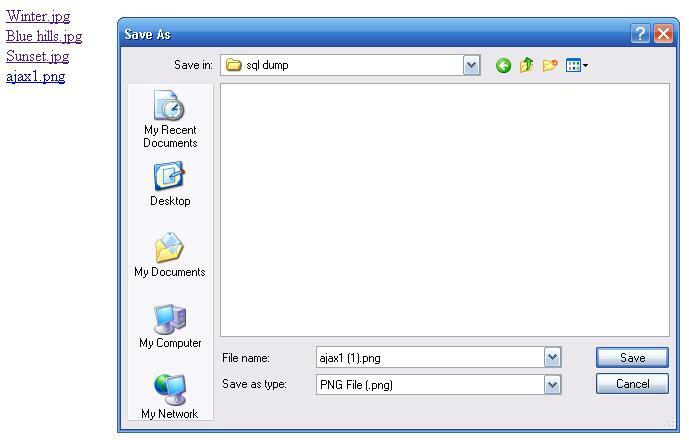 For instance for storing pdf documents or images to make som kind of online briefcase (like Yahoo briefcase). For the first step, let’s make the table for the upload files. Uploading a file to MySQL is a two step process. First you need to upload the file to the server then read the file and insert it to MySQL. 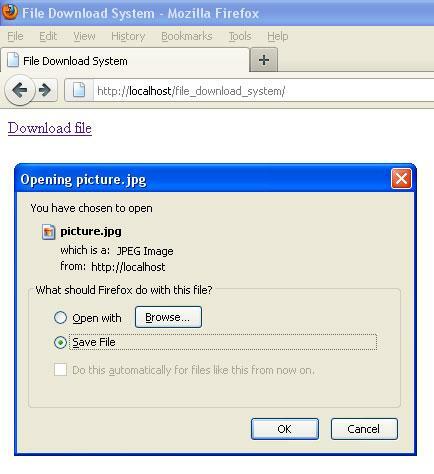 For uploading a file we need a form for the user to enter the file name or browse their computer and select a file. The inputtype=”file”is used for that purpose. $query = "INSERT INTO files (name, size, type, content ) ". Before you do anything with the uploaded file. Youshould notassume that the file was uploaded successfully to the server. Always check to see if the file was successfully uploaded by looking at the file size. If it’s larger than zero byte then we can assume that the file is uploaded successfully. PHP saves the uploaded file with a temporary name and save the name in$_FILES[‘userfile’][‘tmp_name’]. Our next job is to read the content of this file and insert the content to database. Always make sure that you useaddslashes()to escape the content. Usingaddslashes()to the file name is also recommended because you never know what the file name would be. That’s it now you can upload your files to MySQL. Now it’s time to write the script to download those files. When we upload a file to database we also save the file type and length. These were not needed for uploading the files but is needed for downloading the files from the database. The download page list the file names stored in database. The names are printed as a url. The url would look like download.php?id=3. When you click the download link, the $_GET[‘id’] will be set. We can use this id to identify which files to get from the database. Below is the code for downloading files from MySQL Database. Thank you so much.I hope i have learnt so much from this article. sir its working in docx file? I already use the download code, but when I run it, nothing display. But when I right click , view source code the file name is there. Can anyone help me. Thank you. The page can display but why when I click the image, the pop-up Save as did not display. Can some one tell me what should I do. for download, download2.php is not available. so i cannot download the file. can you give the example of file upload and download using PHP-MySqli ? sir, have you tried to create an uploading and downloading of any file format, without database?, using nginx server and not apache server and using freebsd 10.0 not in windows.. please email me, if it is applicable to what i ask.. Thank you.. I need the project of source file with full project with database file. please give me as early as possible. I need the file upload and download projects with database file & full project with source file. please give the file as early as possible. This code worked on my localhost but could not work on my cpanel webserver. I need file upload and download properly please give me some source as early as possible please. Thanks the hell out of you, i’ve been searching for these article for a very long time. Anyway, thanks alot for the tut, i’ll stay updated! i tried the exact same code but the download is not working. where beans.jpg is the file i am attempting to download. Also, tried with pdf but doesn’t work. when i go to my folder and try to open with a Document viewer from there, it says- pdf file is damaged. Any suggestions to avoid it ? and also able to display that files list on the page but when i click on that file name that goes to (download2.php) as it is in your code line no:59 of download.php file but not able to download that file. What will be code for download2.php? where i am doing wrong ? please help me!! As usual when writing files it is necessary for both temporary and final locations to have permissions set that enable file writing. Its reallly helpfull for me thanks friends. Facing error after opening the downloaded file. Error: It looks like we don’t support this file format.